Discover Ltd is an ATOL and ABTA registered British travel company who have organised trips and tours to Morocco since 1978. In addition, we have been running school field trips to both Morocco and France for over 35 years. 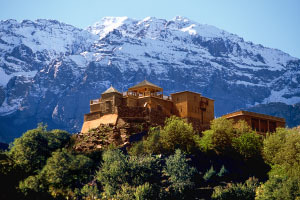 We are also the proud owners of Kasbah du Toubkal, a mountain retreat nestled within Morocco’s High Atlas Mountains. Our three main areas of operation are highlighted below. Field Trips and educational tours to our two centres in France and Morocco. Visit our award-winning hotel - Morocco’s premier mountain retreat. Trekking holidays and a variety of tours throughout the whole of Morocco.